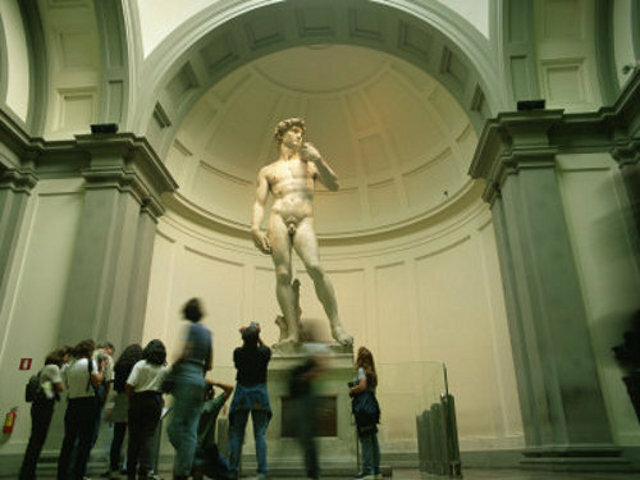 The Itinerary: The Accademia Gallery: home to Michelangelo’s David, the most famous statue in the world! There are also some unfinished works by Michelangelo, the "Prisoners", that allow you to see how he carved the massive blocks of Carrara marble. The guide explanation includes a detailed introduction to Michelangelo’s life and his extraordinary period. The tour at the Accademia Gallery ends around 12.30 pm. You will have then free time for lunch until 3.15 pm. At 3.15 pm your guide will wait for you in front of the entrance n° 3 of the Uffizi Gallery. 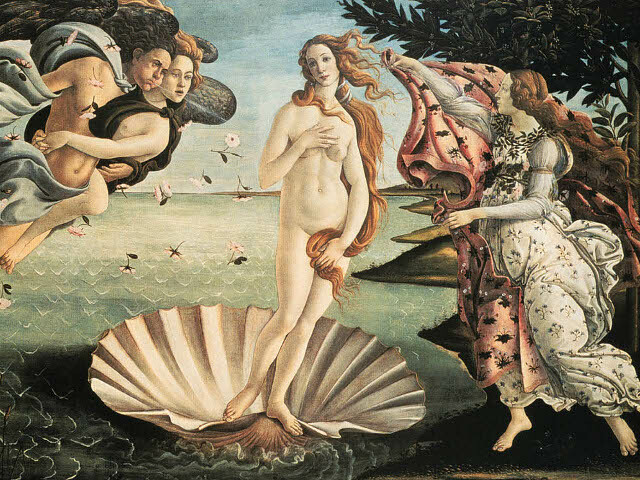 This museum offers some of the most famous paintings of all times including Botticelli’s Birth of Venus, Leonardo da Vinci’s Annunciation, Michelangelo’s Holy Family, Titian’s Venus of Urbino and other works by famous masters such as Cimabue, Giotto, Paolo Uccello, Filippo Lippi, Raphael and Caravaggio. Duration: about 3 hours and 30 minutes: about 1 hour of guided tour inside the Accademia, 1 hour and 30 minutes totally and about 2 hours inside the Uffizi, free time for lunch from 12.30 pm to 3.15 pm. 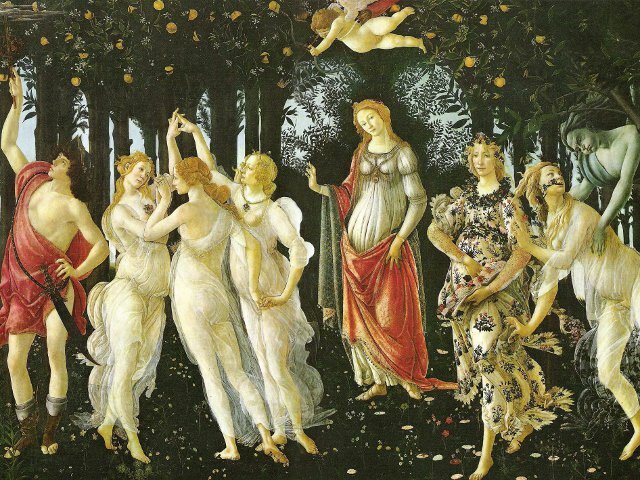 (Once the tour at the Uffizi is over, you are free to stay inside the Museum and visit it at your leisure). Meeting Point: 15 minutes before the starting time in front of the Accademia Gallery, Via Ricasoli 60. Price: Euro 68,00 per person (special price instead of 73.00 Euro). Price does not include lunch. in case of cancellation please contact us.